A trio of skin care products designed to give over 40 skin moisturization and wrinkle-fighting formulation around the clock. Targets the look of wrinkles that result from thousands of repetitive facial expressions we make every day. It topically reduces the look of expression lines caused by repetitive facial movements, long term benefits with continued use. - 84% of the participants said they saw some to noticeable lessening of the appearance of their deeper forehead lines. - 87.5 %, of the participants said they saw some to noticeable improvement in the look of prominent (or pronounced) wrinkles. - 87% of the participants said they saw some to noticeable lessening of the appearance of their crow's feet lines and wrinkles. - 87% of the participants said they saw some to noticeable reduction in the look of lines and wrinkles. Of the 21 participants, 66.7% said they saw some to noticeable lessening of the appearance of "11" lines between their eyebrows. 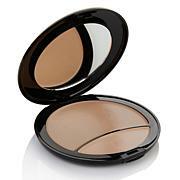 Night Creme: Apply after cleansing every night to face. Inhib-A-Line Serum: Use at night: alone or under night creme. 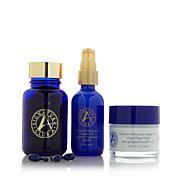 Apply directly to each wrinkle, firmly pressing in serum. Add another thin layer all over face and neck. Highly concentrated product use sparingly. 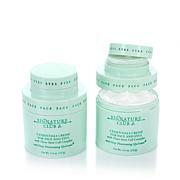 Use with Rapid Transport C Night Creme for powerful c age-defying ingredients. Ingredients: Water, Acetyl Octapeptide-3, Propylene Glycol, Cetearyl Alcohol, Glyceryl Stearate, PEG-100 Stearate, Ceteareth 20, Dimethicone, Cetyl Alcohol, Magnesium Ascorbyl Phosphate, Hydrolyzed Elastin, Tocopheryl Acetate, Triethanolamine, Retinol Palmitate, Cyclomethicone, Methyldihydrojasmonate, Sodium Polystyrene Sulfonate, Carbomer, Xanthan Gum, Disodium EDTA, DMDM Hydantoin, Phenoxyethanol, Iodopropynyl Butylcarbamate. Major smooth, very effective high end care. Wrinkle Blocker BLOCKS WRINKLES! (crow's feet, jaw/jowl line, lip lines). Love the night cream which makes a difference combined with all. 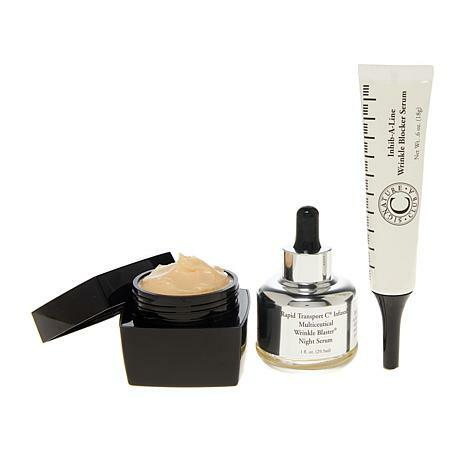 Cannot live without Vitamin C, great ingredients in Wrinkle Blockers (both products). Great buy for $49.95. I am buying for $39.95 12/16/2018! Thank you Adrienne for being the LEADER in TV makeup/skincare as well as amazing products. I REFUSE to go to an office! Don't need to with your line . Thankyou! Almost 63! Used this for approx. 10 days, they must triple dose of ingredient that relaxes wrinkles they use on TV, because, it relaxed no lines/wrinkles on my face. Kept hoping to see a difference, but there was not one for me!! I'm 53. Sorry I quit using my other product. I love Adrienne's products. I have purchased this night cream before and the first couple were fine. However, this is the second night cream that has come and the cream is dark and thick. So thick that I cannot spread it on my face. What is going on? Is there anyway this can be fixed? Please someone get back to me.